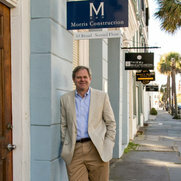 Morris Architecture is a full service firm. 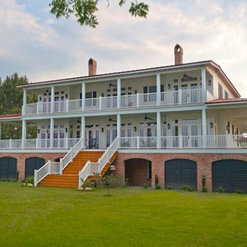 We specialize in designing and building custom homes in the greater Charleston, SC area. We have over 23 years experience in creating your New Home, and/or in Renovation and Refurbishing your Historic or Existing Home. We are a registered Architecture firm. We are also a fully licensed Construction firm. 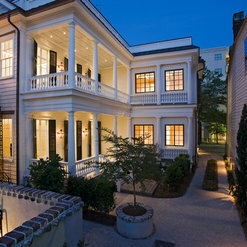 My wife and I worked with Buz Morris of Morris Architecture and Construction for approximately a year to redesign a condo in Charleston, SC. 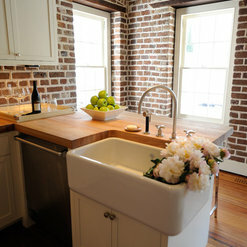 We were very fortunate to find Buz, an architect and a builder who had previously worked in NYC and was very experienced working on old buildings and small city residences. 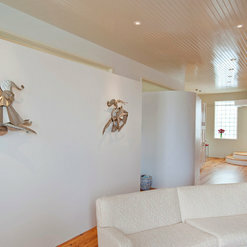 He did an amazing job of moving walls, raising ceilings, relocating bathrooms, to widen the living space and give it a wow factor that we never thought possible. He was flexible, amenable to revisions in the plan, and budget conscious. We found Buz to be extremely creative, his attention to detail outstanding, and his patience both with us and the HOA laudable. We would work again with him in a heartbeat and would not hesitate to recommend him to others. Very porfessional on time and under budget. It is really worth having the architec and contractor being one person. Makes for much easier decision making and if necessary best cheapest way for getting design changes made. I would hire Morris Architecture again and highly recommend him for any size job. iI describe him as having impeccable character and integrity and a master of his profession. Morris Construction and Morris Architecture was a one stop shop for the design to build professional that we were looking for. 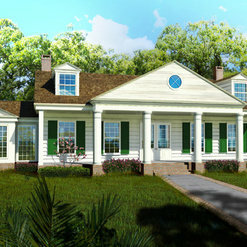 Mr. Morris helped my wife and I make the vision of our dream home become a reality. We had the general idea of what we wanted our house to look like and he guided us through the entire process. The added bonus of him both designing and building is that during construction we would see something that we would want to slightly alter and he would very willingly make the change while providing the perfect guidance. If you use a separate architect and general contractor you don't have the ease of this freedom. My wife and I strongly recommend using Morris Construction and Architecture. Buz is great to work with! He's honest, fair, diligent and thoroughly knowledgeable. He did a full re-model and add-on to my house. Buz worked within my budget and finished on time.... Not only that... He's enjoyable to be around. How many people say that about their architect and contractor AFTER their project is completed? Morris Architecture designed and Morris Constuctors built a large formal den(if this is not an oxymoron) addition to our house in the Crescent. The den opens onto a bluestone patio with a large outdoor brick fireplace designed and built by the Morris entities. The design is simple and beautiful, the proportions spot on and the detailing (trim work , etc.) really nice. An indoor fireplace was built on the backside of the outdoor fireplace and built in bookshelves added to the back wall of the room. The new room is a step down from the interior of the original structure and can be opened or closed to it by virtue of sliding pocket doors. We are thrilled with the quality of the work. Commented: Could you please tell the name of the brick? THANKS so much!No mortar wash is used. Thank you.